Despite Nigeria’s economic downturn with attendant loss of jobs especially in the financial sector, the United Bank for Africa (UBA) is recruiting. THISDAY gathered that the bank has commenced recruitment of young graduates into its fold. When THISDAY visited the head office building of the bank recently, there were a number of young school leavers being tested and interviewed. A similar trend was noticed in Abuja recently when a horde of young and unemployed persons besieged one of the bank’s offices at the Federal Capital Territory (FCT). 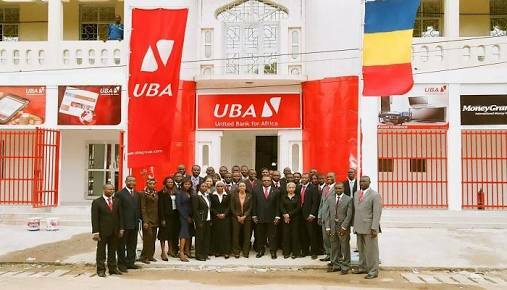 In recent times, UBA has embarked on a new drive for excellent customer service delivery. This recruitment drive may not be unconnected with the bank’s desire to serve its customers better. Since assuming office, the new GMD/CEO Mr Kennedy Uzoka has been harping on customer service and the bank’s determination at placing the customer at the centre of everything it does. “As banking increasingly gets commoditized, the Customer will be the sole determinant of banks’ growth and profitability” he stated recently. He further revealed that the bank would build the revolution around people, processes and technology. “Our human resource is undoubtedly our most valuable assets. Hence, we have made considerable progress putting in place an effective system for staff engagement, recognition, communication and performance management” said the UBA GMD when the bank released its third quarter results recently.